A Crib Rail Guard is a great option for bumperless design nursery bedding and will keep your baby from chewing on the crib. Our crib rail cover styles include chic, traditional, modern and more. Coordinate a crib rail guard with our assortment of crib sheets, baby blankets and nursery crib skirts. 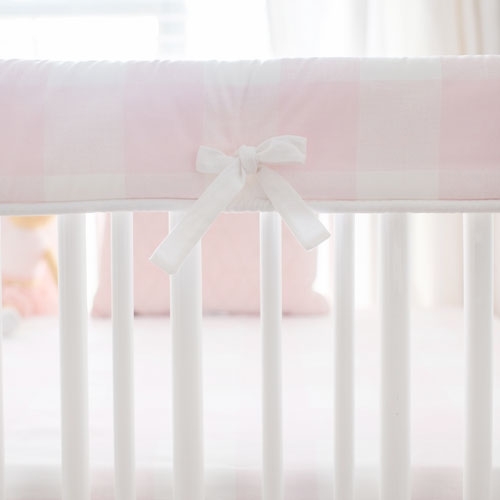 From classic to modern, rest assured we have the perfect crib rail guard for your nursery! Choose from on of our predesigned crib rail covers or create your own through our custom bedding program. Mix and match with our crib skirts, crib sheets, crib blankets and more. Dimensions: Long Side measures: 51” long by 11” deep. Our rail covers fit most standard cribs. Purchase a crib rail cover separately or as a set, which includes a crib sheet, shaker and optional crib blanket. All of our crib rail covers are padded and Made in the USA. A rail guard will protect your baby from the crib, and is decorative too. If your baby chews on the crib, not only does he risk swallowing wood particles, but also can get splinters in his/her gums. 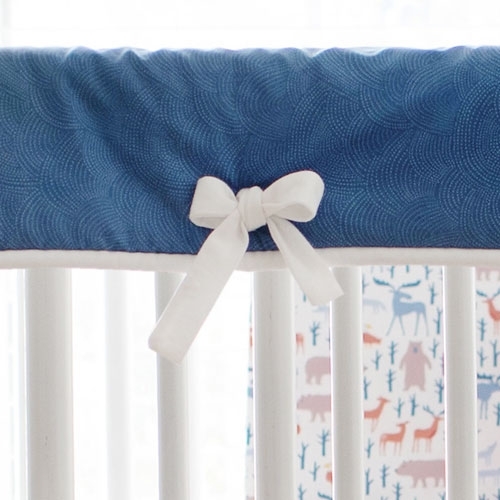 Create a comfortable and safe nursery environment with our crib rail cover for your crib!